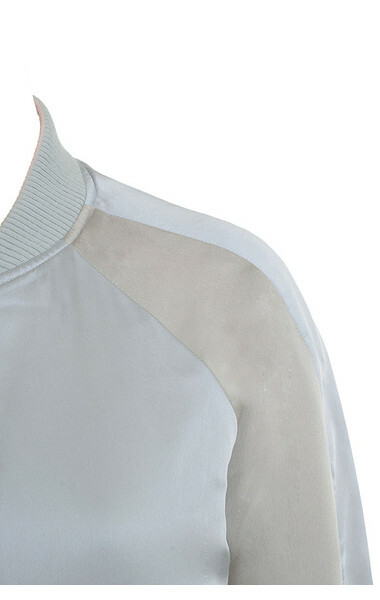 The softest pastel hues and the silkiest satin you'll ever feel combine in 'Velazquez'. 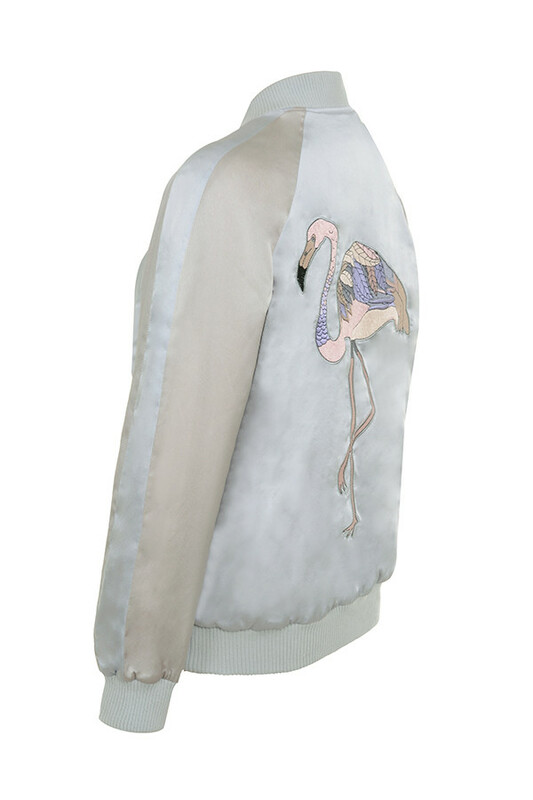 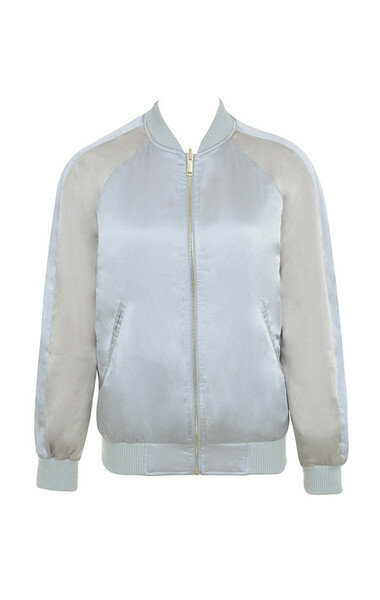 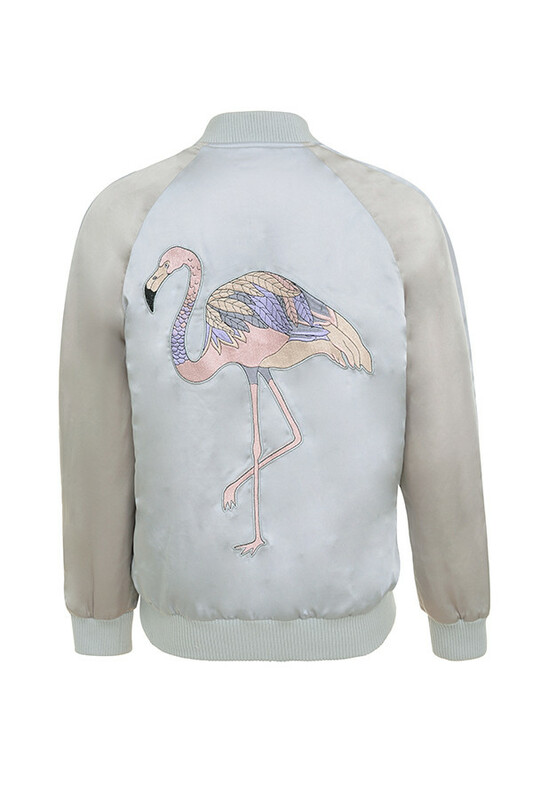 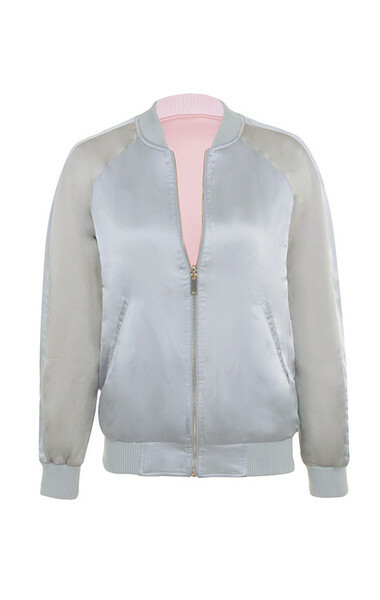 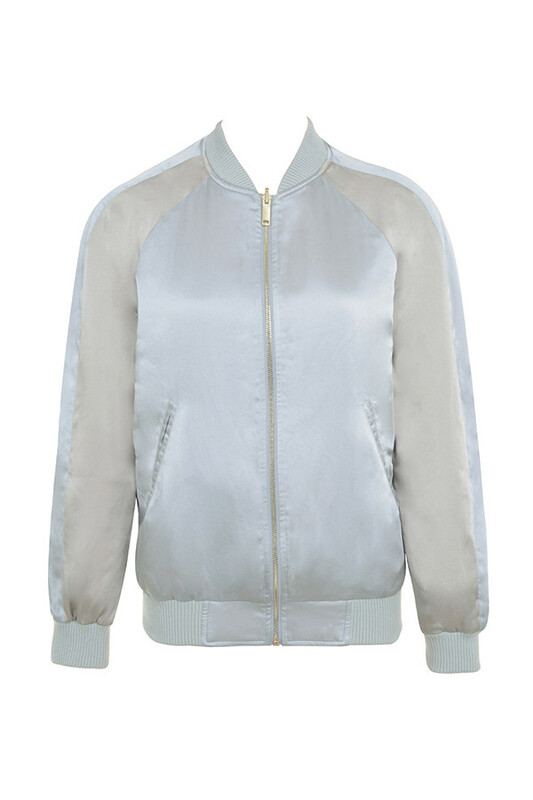 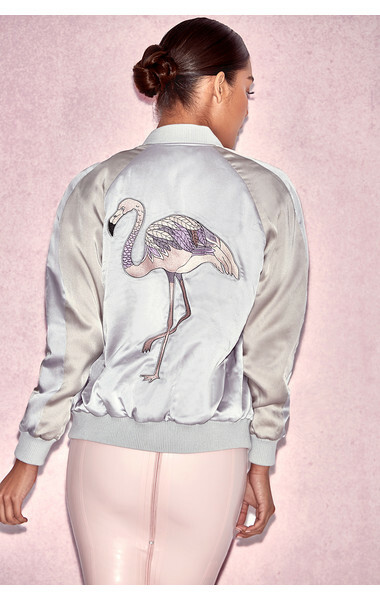 Made to a classic bomber shape, 'Velazquez' is created from an amazingly soft silky satin in hues of powder blue and features a beautiful Flamingo embroidery to the back. 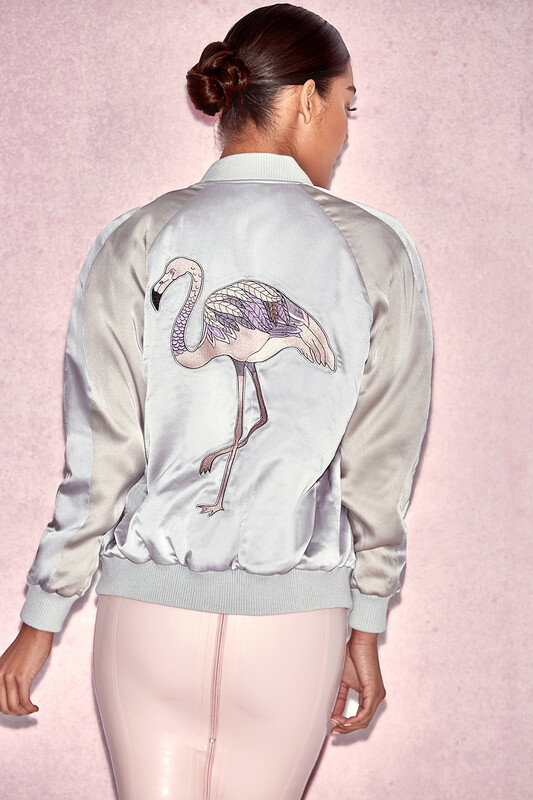 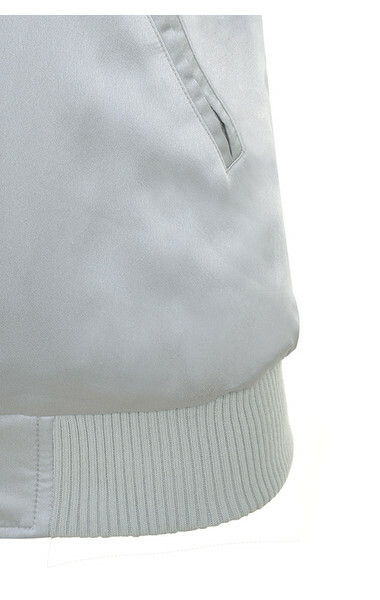 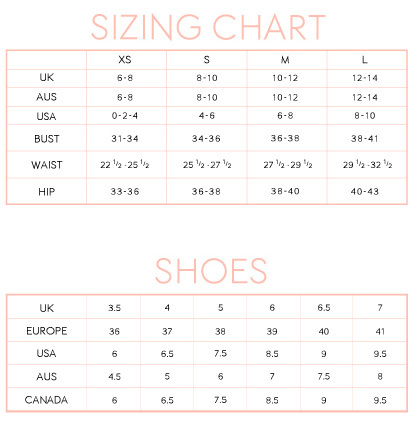 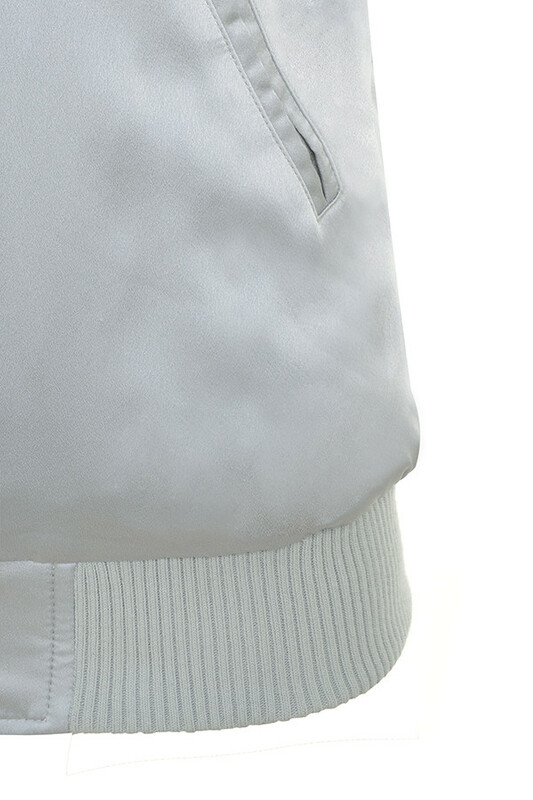 Ribbed collar, cuffs and waistband complete the look and the jacket is reversible to expose a pastel pink interior. Team yours over palest destroyed denim and a bodysuit.